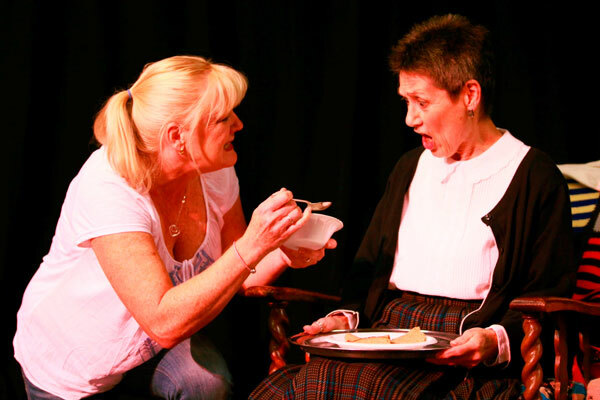 'Bothered & Bewildered' is a comedy drama about one woman's struggle with Alzheimer's. The play follows Irene and her two daughters Louise and Beth as the girls lose their mum in spirit but not in body. As her family struggle to come to terms with her Alzheimer's, Irenes past passion for romantic literature blurs with reality. She spends hours discussing how best to write her 'memory book' with her imaginary friend and favourite author Barbara Cartland (the deceased world famous romantic novelist), disclosing long kept family secrets that she would never divulge to her daughters. This tragi-comedy is about memory, loss, secrets and, above all, love. To see a full photographic history of the plays development and premiere visit this website. To purchase Bothered & Bewildered, contact Samuel French - London. 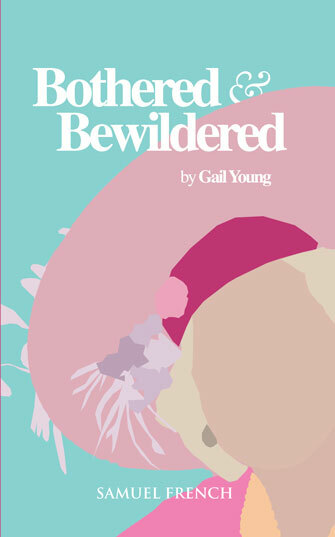 Here is an informal interview with the writer Gail Young during rehearsals for 'Bothered and Bewildered'. 'The house lights in the Old Court Theatre dimmed to reveal an animated image of a dandelion clock, dispersing into the winds of time. The scene was set for Chelmsford Theatre Workshop’s latest production ‘Bothered and Bewildered’. 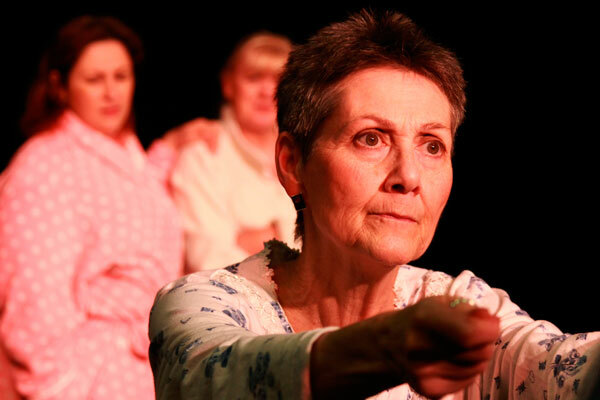 It was clear from the publicity and pre-show announcement that Gail Young’s play was about raising awareness and funds for the Alzheimer’s Society and the simple, stark opening backdrop left the audience in no doubt that this was going to be a poignant ride. What struck me most forcibly, however, as Irene and her family gradually came to terms with her spiralling descent into the grips of dementia, was the extent to which this production ably lived up to its billing as a ‘comic drama’. I had been doubtful that, given the subject matter, there would be anything to laugh at here but throughout there were many reminders that light can be seen alongside the darkest of moments. Most notably, Irene’s violent refusal of her long-suffering daughter’s offer of spoon fed scrambled egg was heartbreaking and yet somehow mirrored her slapstick oneliner about her lost ‘sexual energy’ which followed. This has to be one of the most poignant plays I have seen in a long while. We all have heard stories about living with Alzheimer’s, this play puts it front and centre in our consciousness...............a dramatic and emotional piece but it has just the right amount of humour in it to make it a very special piece of theatre. I really encourage people to see this as I honestly believe it will resound with you on so many levels and is so well executed that it will be a true shame if more people don’t see what is probably an unknown and an unrecognised play delivered exceptionally well. See the full reviews on the Chelmsford Theatre Workshop website. Review for Coromandel Players, North Island, New Zealand. June 2016. 'I was lucky enough to attend the final performance of the Coromandel Players’ wonderful play ‘Bothered and Bewildered’. The delightful little theatre was jam-packed and, once I’d gotten over the envy I felt at Coromandel having such a gorgeous performance venue, I settled in to my seat a little uncertain of what I was about to watch. The opening scene, in the consulting room, made me uncomfortable until I realise it was meant to. 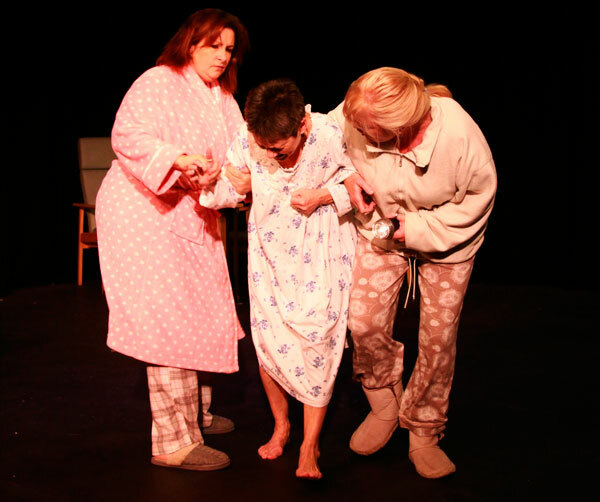 The acting was that good that the discomfort experienced by the daughters discussing their mother’s worsening dementia was well conveyed to the audience. The unease continued as the nature of Mum’s condition unfolded before us and, whilst I appreciated the calibre of the acting, it felt as though we were in for a grim time. Not so! Barbara O'Reilly was outstanding as Irene, initiating humorous moments to release the tension in the room…and I genuinely thought Barbara Cartland had been reincarnated, so convincing was Anne Zeeland in a darling role. Liz Cameron and Debbie Morgan played beautifully off each other and the empathy from the audience, for the situation the sisters found themselves in, was palpable. A genuine highlight for me was the flashback scenes with Taylor Port as Shelley dancing across the stage with her handsome beau…and again later when the sad truth is revealed of a son lost. I’m sure I wasn’t the only one moved to wipe away tears at Irene’s frustrations and fear…superbly portrayed with so much heart and emotion. 4* Review for Edinburgh Peoples Theatre. May 2016. 'Combining laughter and tears, all utterly genuine, Edinburgh People’s Theatre’s production of Bothered and Bewildered at the Church Hill is thoroughly successful.......Gail Young’s first full-length play, Cheshire Cats, has already been produced with great distinction in Edinburgh, but this is the Scottish premiere of her second, dating from 2014. Taking on such a new and little-known work could be seen as a brave step for EPT, but it is one that deserves to succeed wholeheartedly. The subject matter may put some off, and there can be no denying that it is difficult to watch at times, particularly for the huge and growing numbers of people who have personal experience of the issue. However, there can be no doubt that it is a judicious and rewarding piece of work – serious without ever becoming melodramatic and humorous without being flippant. See the Bothered and Bewildered FB page for regular updates on show reviews. Last night's performance of Bothered and Bewildered was a real credit to you Gail Young. All I can say is that Art. regardless of which form it takes, is a true miracle. To actually see something that has come from one persons mind be translated for the benefit of the masses is one heck of an achievement. You and the cast executed it beautifully. I honestly take my hat off to you. Well done Gail, thanks for entertaining us. Saw this fab show tonight. Brilliant. Very moving with some great funny moments too. Well done to all involved. You were all brilliant tonight ... loved the play ... tears of laughter and tears of sadness. Very moving. Thank you all. I've had a great evening watching "Bothered & Bewildered" at the Gateway Theatre in Chester. It's a brilliantly written script about a families struggle with Alzheimer's. I'd definitely recommend it. 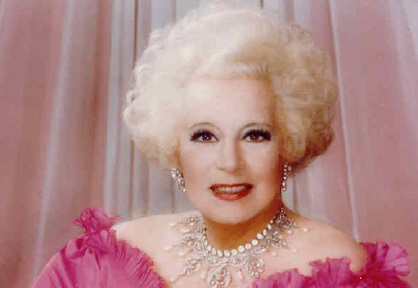 Barbara Cartland who sadly died in May 2000 at the age of nearly 99 was the world's most famous romantic novelist who wrote 723 books in her lifetime with worldwide sales of over 1 billion copies and her books were translated into 36 different languages. As well as romantic novels, she wrote historical biographies, 6 autobiographies, theatrical plays, books of advice on life, love, vitamins and cookery. She also found time to be a political speaker and television and radio personality. She wrote her first book at the age of 21 and this was called Jigsaw. It became an immediate bestseller and sold 100,000 copies in hardback and was translated into 6 different languages. She wrote continuously throughout her life, writing bestsellers for an astonishing 76 years. Her books have always been immensely popular in the United States, where in 1976 her current books were at numbers I & 2 in the B. Dalton bestsellers list, a feat never achieved before or since by any author. Barbara Cartland became a legend in her own lifetime and will be best remembered for her wonderful romantic novels, so loved by her millions of readers throughout the world. Her books will always be treasured for their moral message, her pure and innocent heroines, her good looking and dashing heroes and above all her belief that the power of love is more important than anything else in everyone's life. For more information, please visit the Barbara Cartland website.